High-Schools.com is a resource that contains data on thousands of public and private high schools in the United States. Mountain biking at Brundage is becoming increasingly popular. You can ride the Bluebird Express high speed quad chairlift to the top of the mountain and enjoy over 20 miles of trails. Hold your special event at Brundage Mountain! Weddings, retreats, seminars, conferences, family reunions or whatever you need. Our catering staff are professional planners, organizing every detail so you don't have to worry. Narrative on the beauty, wonder, and activities to be found in Americas Great Outdoors, especially in our corner of it! The Forest is part of the Northern Region and is located in North Central Idaho. The Payette Lakes Ski Club operates the Little Ski Hill, located three miles northwest of McCall, Idaho on Highway 55. Adams County in Idaho was established in 1911 and named for America's second president, John Adams. It is comprised of 1,376 square miles of mountains, forests, rivers, high desert and is bordered on the west by Hells Canyon. Riggins offers exciting whitewater raft trips daily. From half day blasts, to full day, overnight, and extended trips--you will enjoy the beauty of this magical canyon and free flowing river. The City of Payette is situated along the western border of Idaho next to Oregon and is the point where the Payette River flows into the Snake River. Wilder is a small farming community which is nestled in the western side of Canyon County, Idaho near the Oregon border. 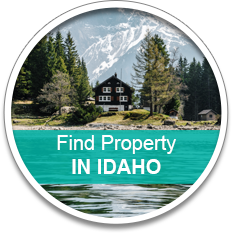 Looking for lodging and accommodation in McCall, Idaho? In addition to great rate McCall hotel reservations, WorldWeb Travel Guide offers detailed information on a variety of other McCall accommodations. Find the best place to stay while visiting beautiful McCall. Call 208-253-6077 for an appointment today! Dr. Eppich has been practicing dentistry in West Central Idaho and surrounding areas for years. Call our office at 208-253-6077 to make an appointment today. ACHC strives to meet the healthcare needs of our community. We are proud to offer many services with specialists who are dedicated to the long-term health of our residents and visitors. ?. As a Federally Qualified Health Center we provide high quality health care services regardless of social or economic status. Factual information regarding McCall Idaho. The McCall Municipal Airport (MYL) is located in west-central Idaho, along State Highway 55. The airport is conveniently located adjacent to the Idaho backcountry, with its many airstrips that offer unlimited fly-in fun. 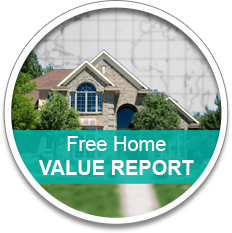 Nearby points of interest include the Frank Church River Of No Return Wilderness, Payette National Forest, Boise National Forest, Payette Lake, Cascade Lake, Brundage Ski Area, and the Idaho State Centennial Trail. 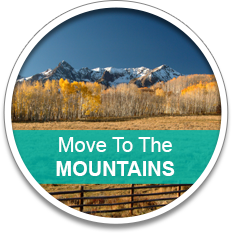 Recreational activities in the area include hiking, camping, mountain biking, skiing, hunting, and fishing.